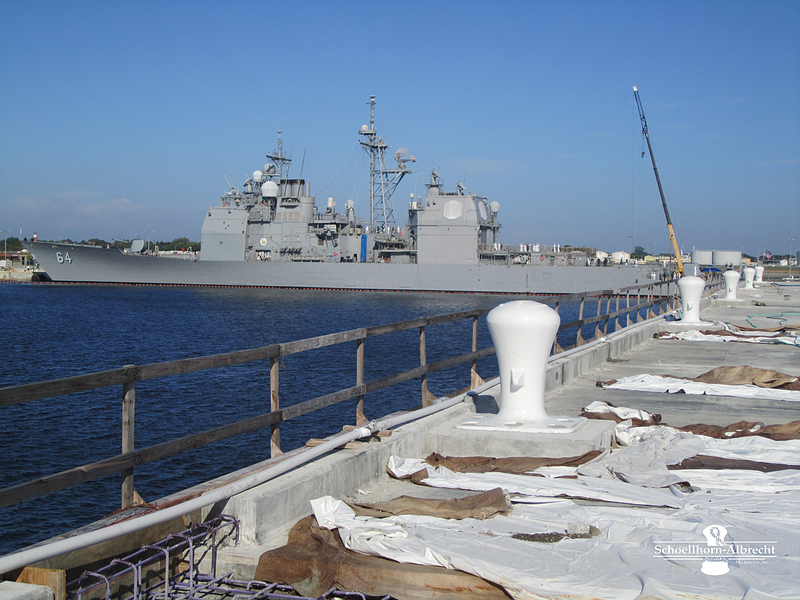 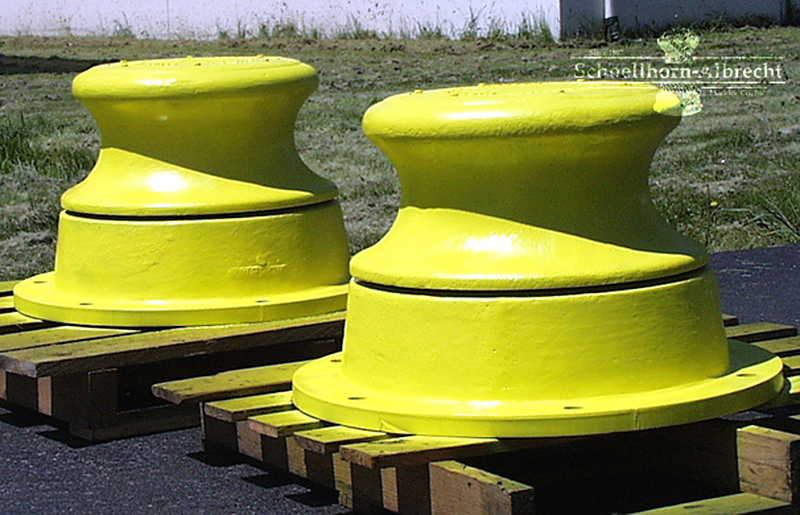 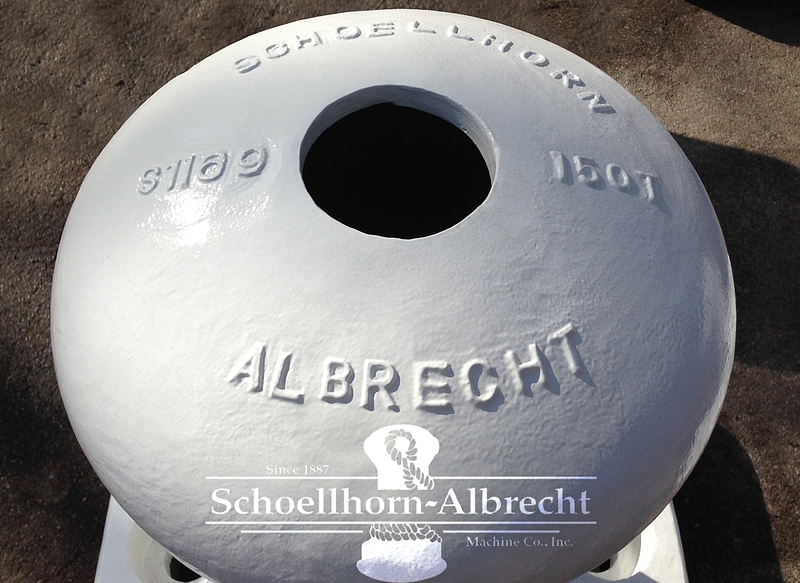 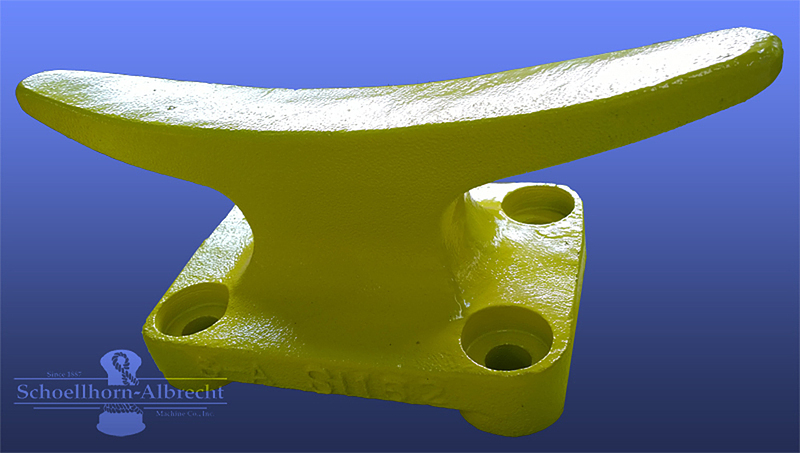 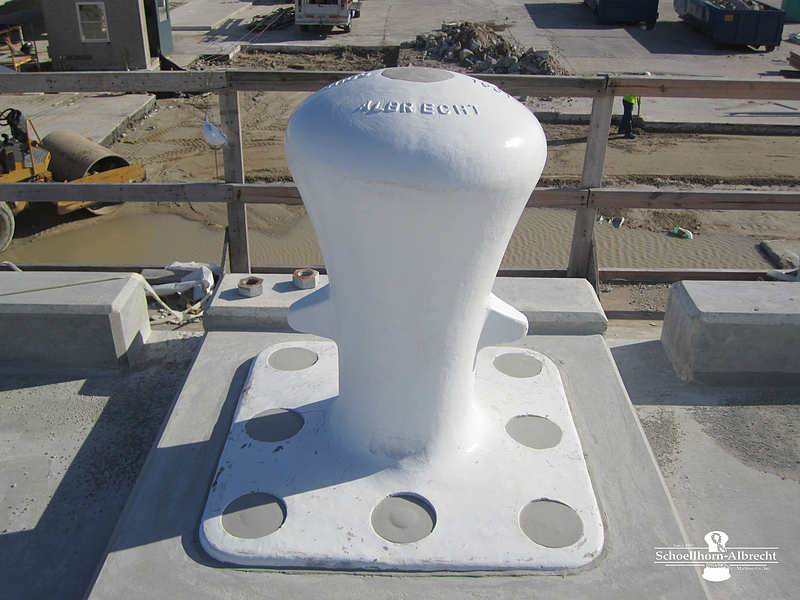 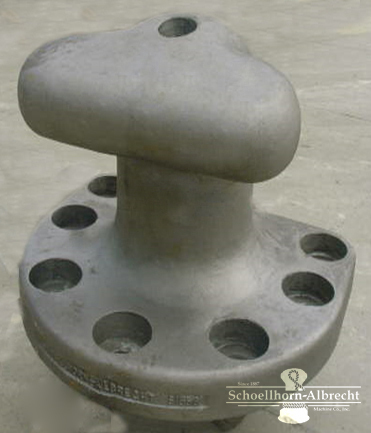 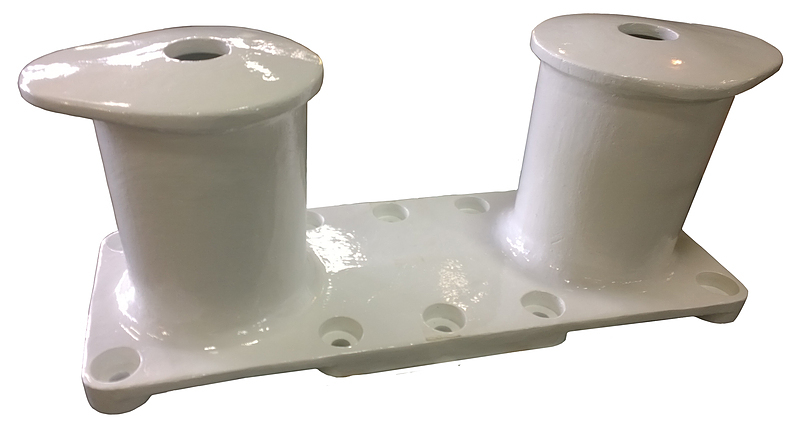 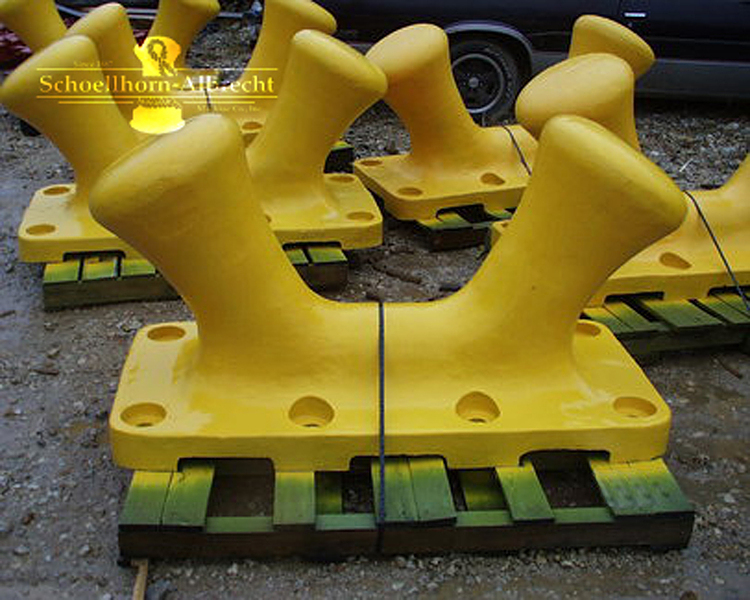 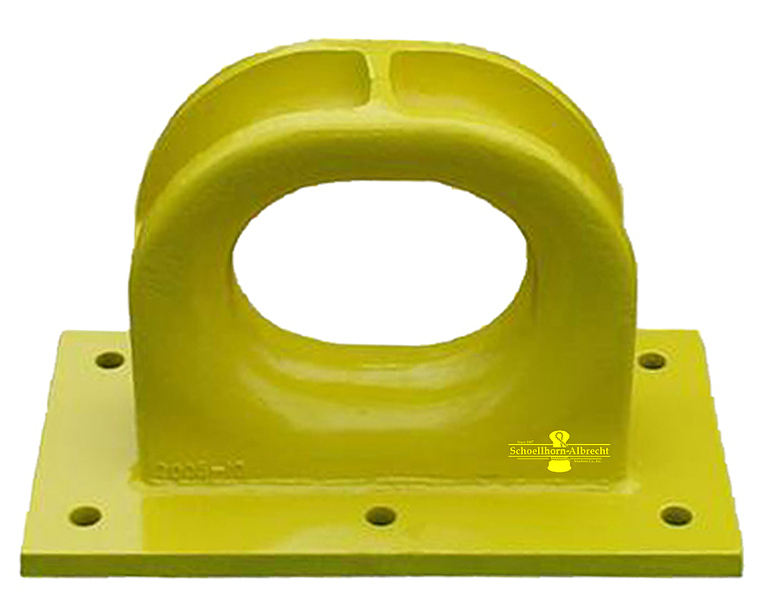 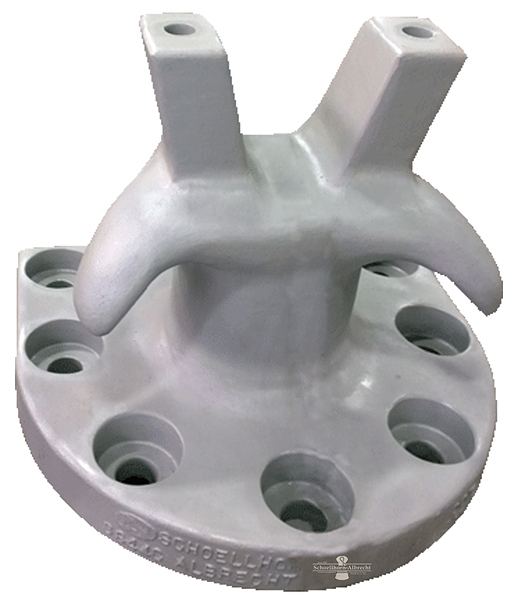 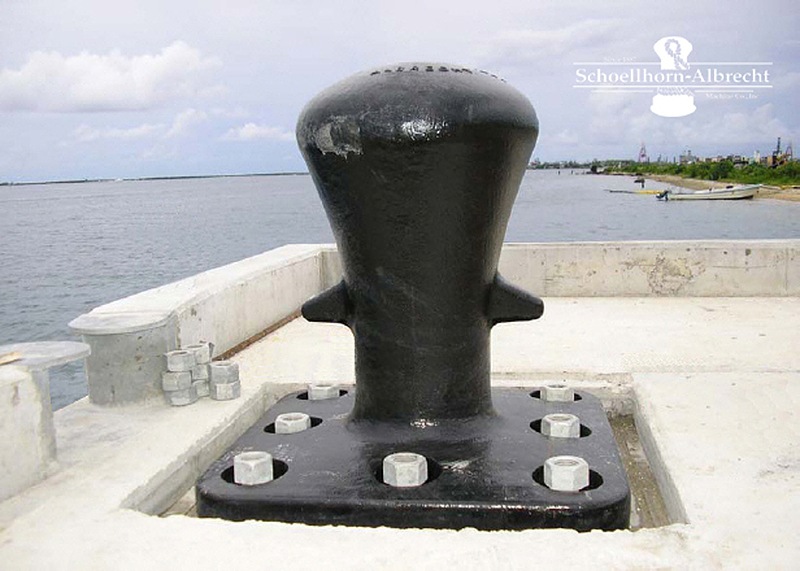 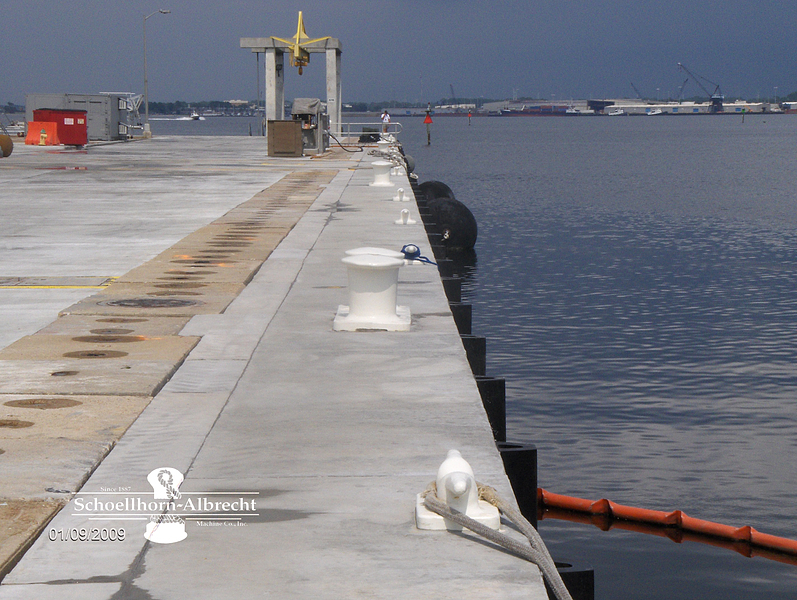 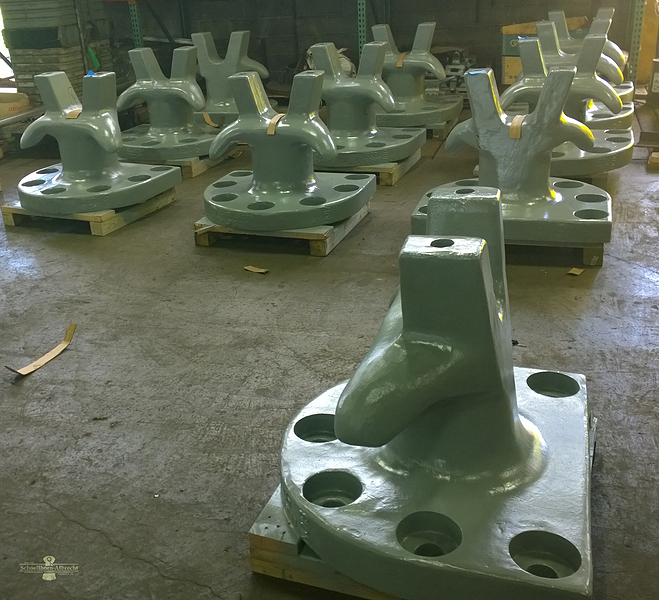 Schoellhorn-Albrecht designs and manufactures a full line of standard and custom made dock mooring bollards and dock cleats ranging from 50 Ton SWL up to 300 Ton SWL. 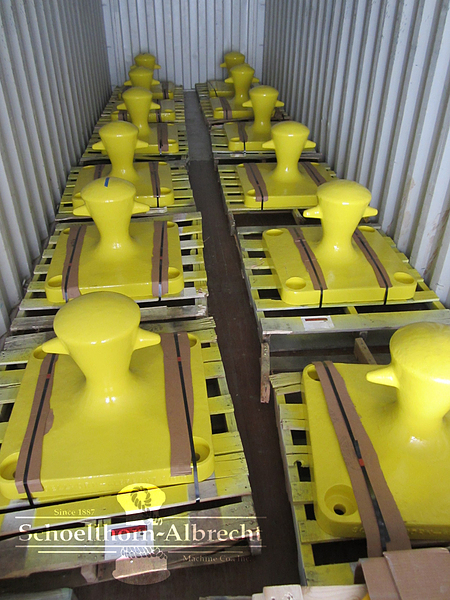 Marine paint systems and anchor bolts are available. 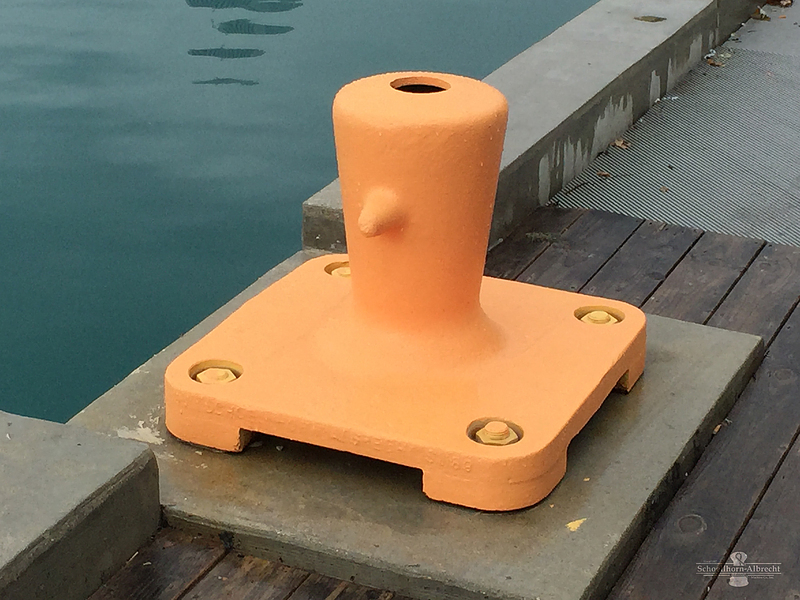 Find everything from cast steel bollards with horns for the appropriate bollard and dock cleat to suit your dock, jetty or wharf. 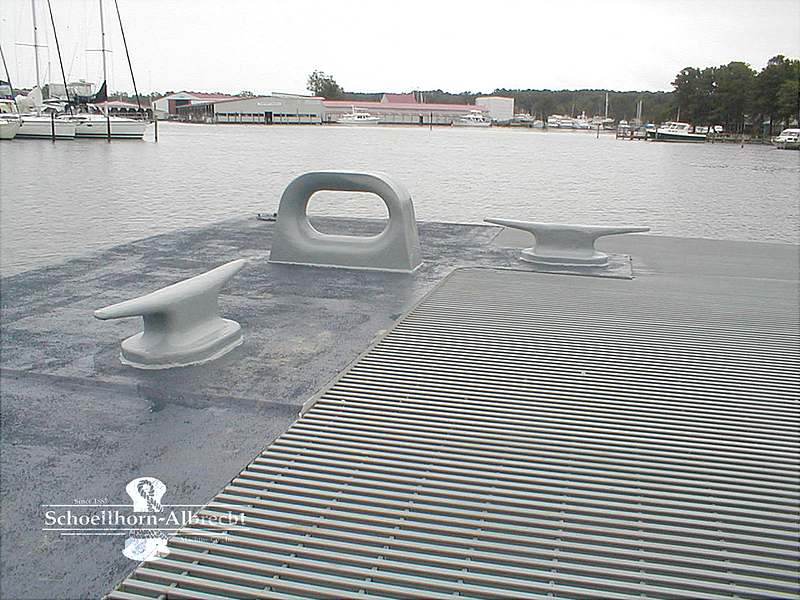 Our marine equipment is built to last with minimal lifetime maintenance. 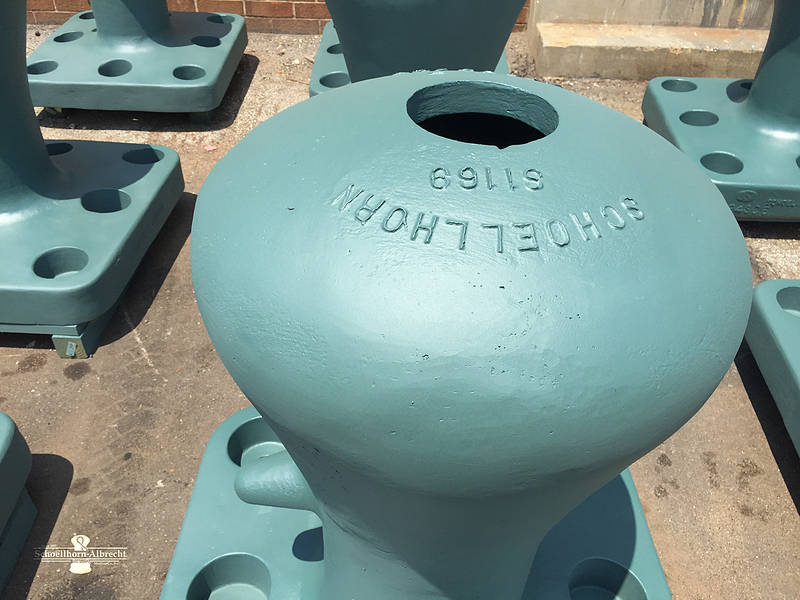 Contact us for any information about our Single or Double Bitts. 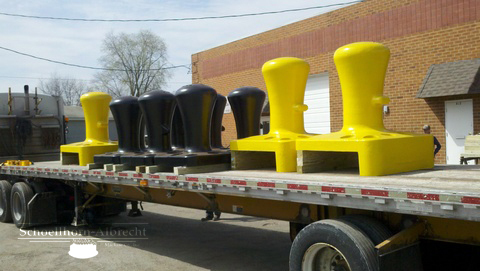 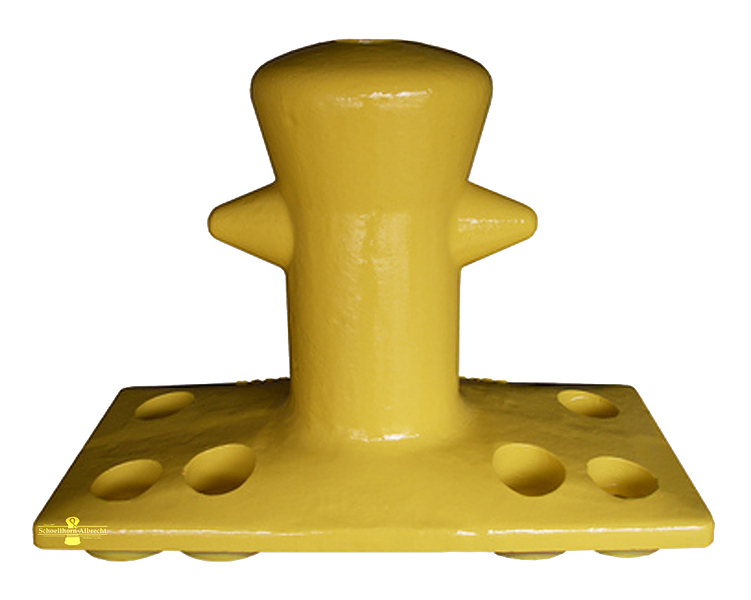 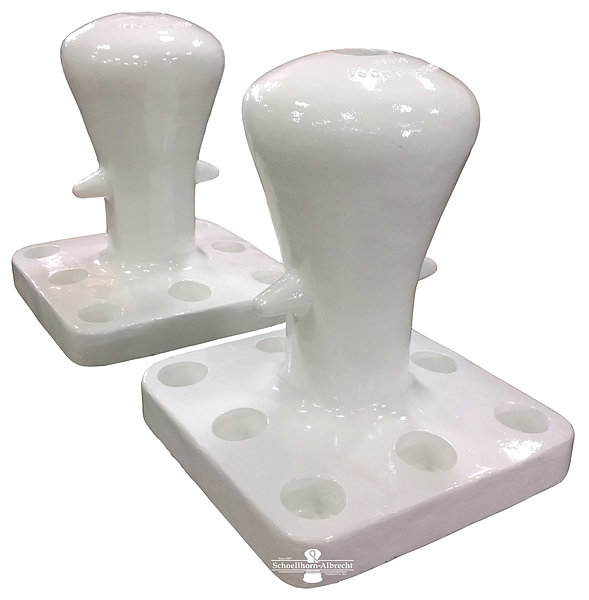 Explore our catalog and contact us for more information on any of our Bollards & Dock Cleats.